As you know, I got engaged back in September 2018, and we are still yet to have our engagement party – we wanted to have it at our place but for the amount of people we want they’re not going to all fit, so we have had to make the decision to book in somewhere and have it catered for. I have been on Pinterest to look for some cool ideas so I thought I would share some things on here and tell you what I think! I think this one is such a cute idea. So your guests take a picture of themselves or others, stick the photo in a blank book and write a little message for the bride & groom to be. 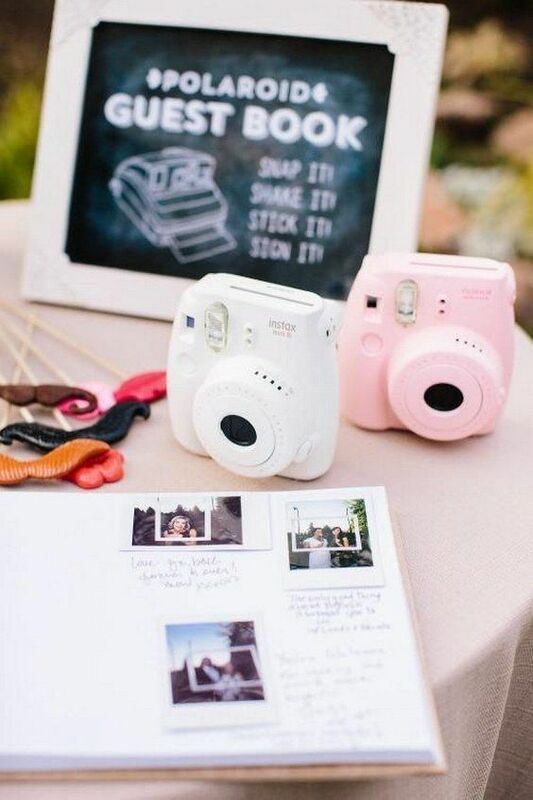 I already own a Polaroid camera, I’d just need to buy some film, so this is a really simple and inexpensive idea to keep your guests occupied. 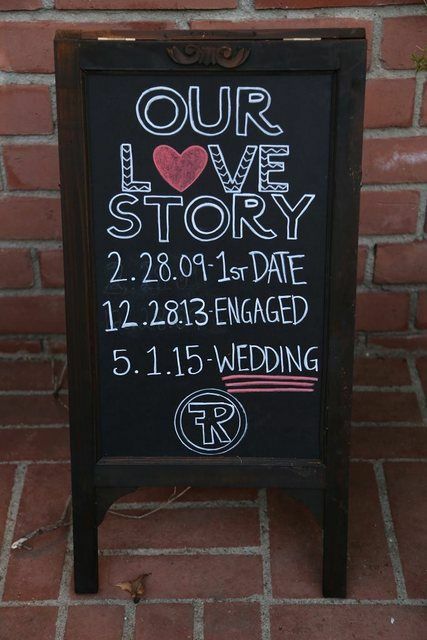 I definitely want to have a ‘love story’ board – it gives your guests a good insight of your story, and it’s great to have something personalised. 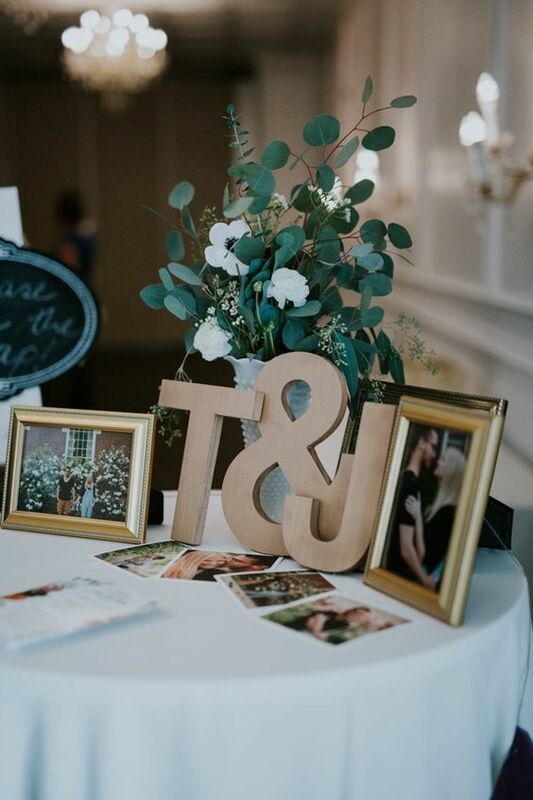 I’d also love to have a table like this set up with our initials and some photos of us. I think it would be really cute. 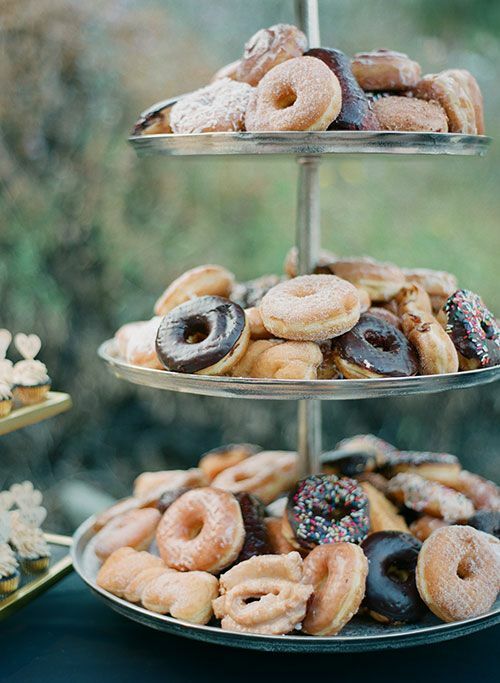 I love my sweets and have a big sweet tooth – I also think sweets look really nice on a table so I’d love to have a three tier plate like this one holding something like donuts, cupcakes or cookies. 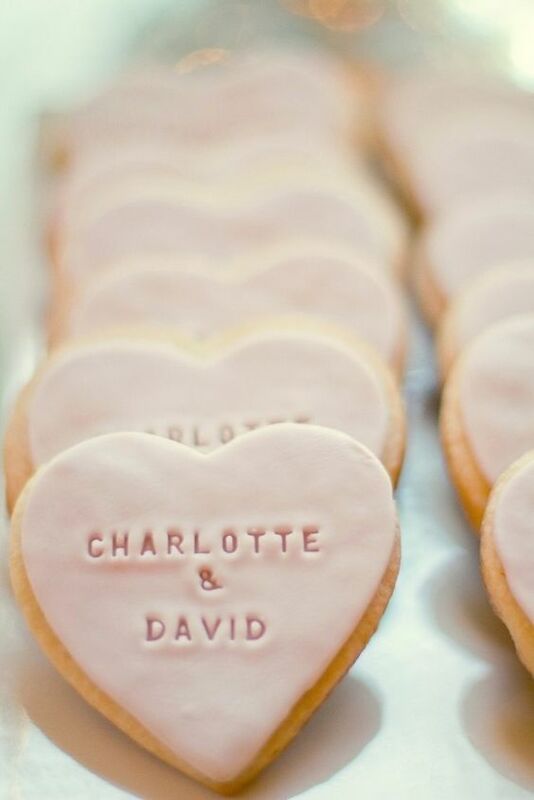 Having personalised cookies like the ones above would be so cool to have. I don’t think we will actually do this but it is a really cool and personalised idea. Sweets all set up just look so pretty and appetising! This is like set-up goals right here! 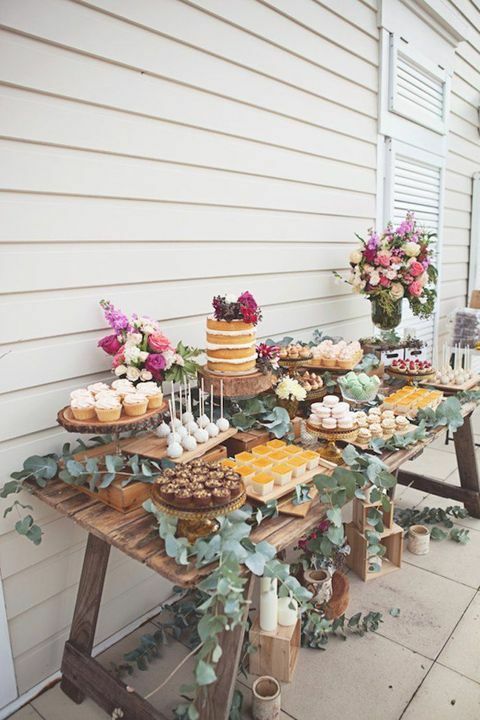 Some pretty decorations are also an essential – flowers, fairy lights and photos are all some great ideas. ‘Message in a bottle’ is another cool way to keep your guests occupied and give you something to remember the night/day by. So these are just some of things I have found to really make our engagement party a night/day to remember. Let me know below if you have any great ideas for an engagement party! Oh amazing! I’ve been to a few with the pick and mix lollies and I really want to do it! We have a date picked now and I have also booked a photo booth which will be fun! Love pinterest for things like this! Lots of great ideas! Also helps keep the budget down! I mainly use it for crochet patterns, but these kinds of ideas are great too! OOOhh make up tips! Also, I have a craving for cookies. I might make some…. Do you use it to share your blog stuff? Because I know some people who do and I have no idea how pinterest would even work for that. There would be plenty of cookie recipes on there!! I keep reading these cozy mysteries, and they always talk about food or desserts. A few of them include recipes! But they’re making me want sweets. I am dreaming of sweets like all the time. Probably because I haven’t had any kind of dessert in the longest time. I love sweets too, so much that they’re in my dreams because I miss them in my life. Sounds like you are due for a sweet treat – treat yo self! I KNOWWW. But there is nothing sweet at my house. Seriously! I need some sweets like crazy. I dreamed that I was pilfering sweets from my grandparents house. 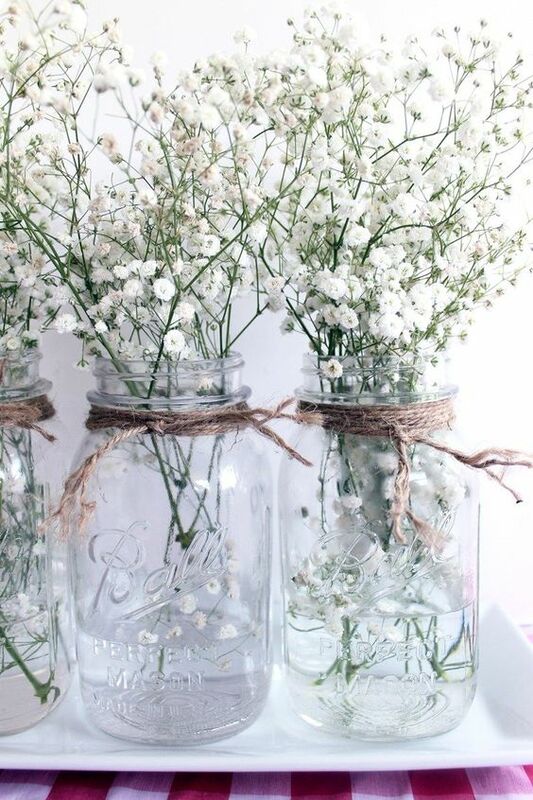 I love the jars, they are so cute especially with little fairy lights in. The snapshot guest books are lovely. I’ve seen them at a few weddings and everyone likes to get involved (you could have props too for some silly photos). At my friend’s wedding in October she had a little wooden box and some cards to fill out, where guests could write a message but also she had at the bottom ‘Where do you see us 10 years from today?’ There were a lot of different answers and I think that it was a really nice idea. You could even cards with different questions on, then you could use the answers at the wedding e.g. ‘Where was our first date?’ or ‘Who said I love you first?’ You could do a display with the real answer vs what people guessed to show them your story. Pinterest definitely deliver the goods! These ideas are pretty cool! 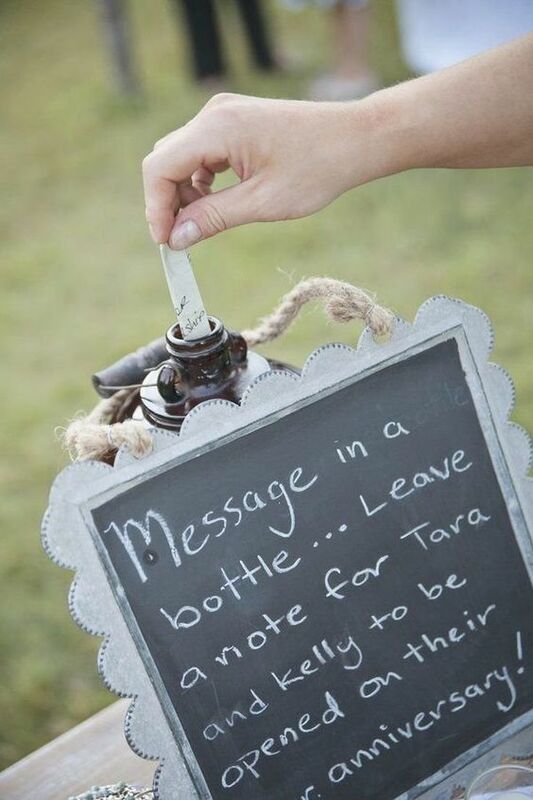 I especially like this “Message in the bottle” idea – it seems so unusual! Some great ideas. We never got around to organising one (all those years ago). My friend had quotes about Love on her tables in frames which was lovely. I love a good sweet counter too. Can’t wait tos ee what you do. A lolly set up is always exciting!